If you’re the sort of person who doesn’t carry around any old rubbish with them each day, you’ll be interested in this. Combining six useful and essential tools in one sleek and stylish body, we were intrigued to try the Olixar HexStyli 6-in-1 Stylus Pen. The ‘everyday carry’ is a serious and growing subculture, whereby practitioners attempt to carry with them each day tools and handy things that they might need, all neatly packed in tiny gadgets. 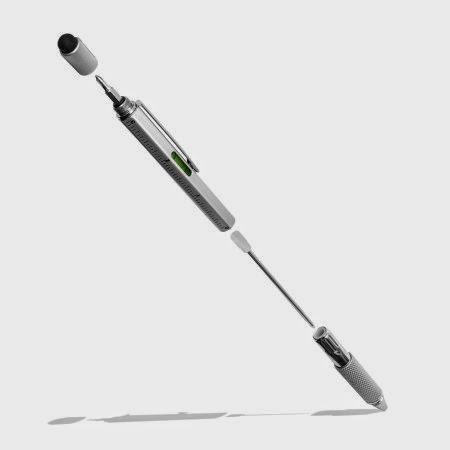 So the HexStyli stylus pen will definitely be of interest, particularly because within that classic pen shape you get a multi-direction touchscreen stylus, a ruler, a spirit level, a two-headed screwdriver, and of course an actual ball point pen. 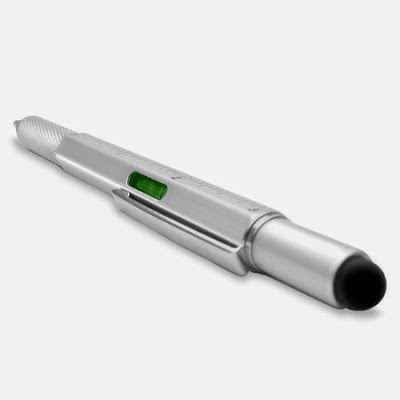 The Olixar HexStyli 6-in-1 Stylus Pen feels great in the hand, thanks in no small part to the sooth all-over aluminium. As well as feeling well made you can obviously tell it has been made to last and also be carried around in the bottom of bags and slid into pockets. In use we found the pen facility was always very welcome and also discovered that just because we had a good stylus in our pockets, we used it. Although quite chunky and probably not necessarily all that suitable for phones, we found it was great on a larger screen tablet, especially for sketching and scribbling hand-written notes. The ruler and spirit level are great, with the latter actually giving a good reading (unlike some other so-called multi-tools with one built in). Also having the double-headed screwdriver close at hand was alarmingly useful, and if you work with gadgets as much as we do, those with fiddly little screw-close battery compartments, you’ll love this. 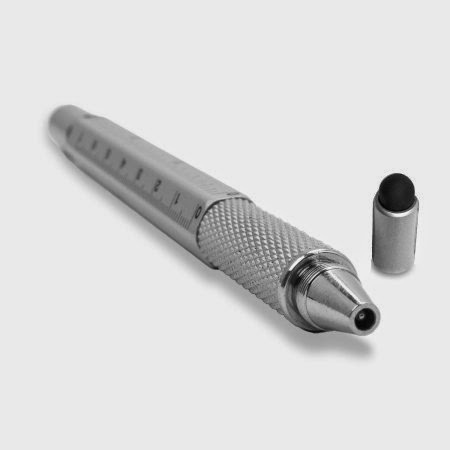 Probably more suited to the everyday carry enthusiast who works with electronics and digital crafts, the Olixar HexStyli 6-in-1 Stylus Pen is a genuinely well-made and well-thought out piece of pocket kit.